PJ Contracting Limited have over 30 years experience handling tarmac jobs for road surfacing and driveways in Exeter. 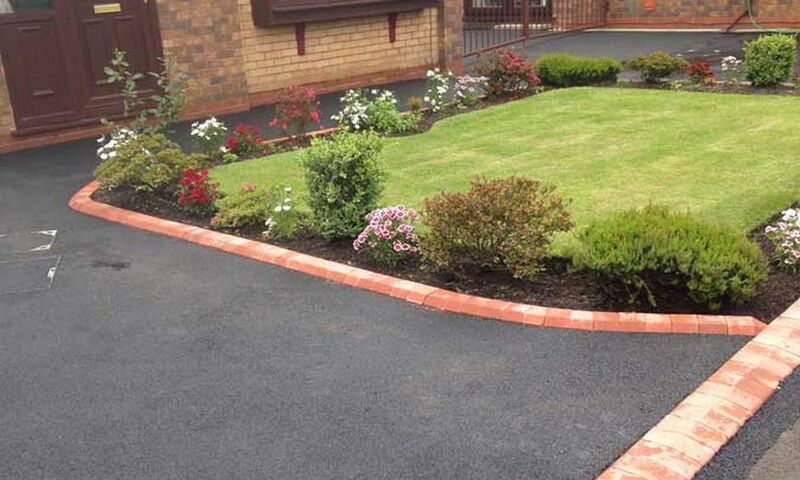 We’ve worked tirelessly to develop a reputation of which we are justifiably proud of – a reputation for high quality new driveway installations, providing a pleasant service at highly competitive prices. We only use optimum standard materials, which subsequently produces the most exquisite driveways and highways. 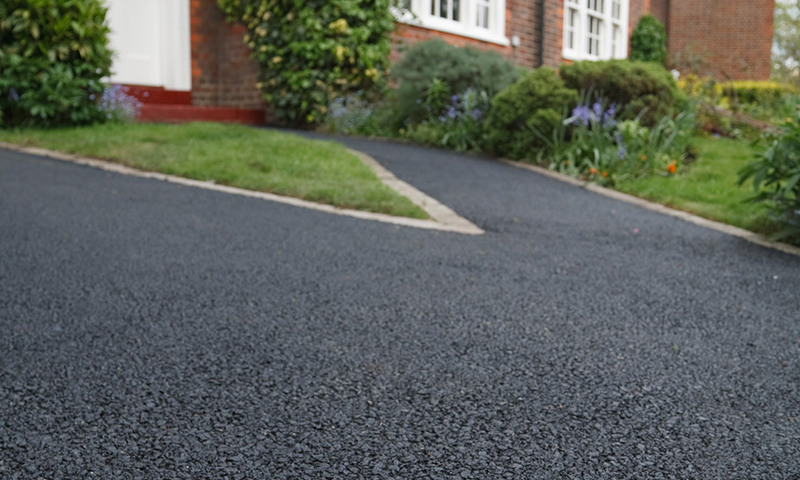 We install tarmac driveways in Exeter to the same specification as block paved drives, in that, they are dug out and stoned up to a thickness of 4 to 8 inches, dependent upon the ground below, with type 1 Hard-core and compacted with a roller. The tarmac is installed in two layers, the base course will be around 50mm thick and the top course will be around 25mm thick when rolled out. Consumers have a choice of red or black, quality top coats. This would then be levelled and compacted using the correct machinery with all the needed drainage considerations covered. The actual tarmac covering must be laid with a 12.5mm base layer followed by a 25mm wearing course, that will give you a tarmac driveway which can last many, many years to come. Often used for high traffic areas like roads and car parks, tarmac is an extremely popular option for driveways in Exeter due to proven durability and the availability of different colours. When installed by professionals they are easy to install and quick to lay. Tarmac is also very low maintenance, economical and practical for today’s modern homeowner. New tarmac is specifically made to endure the surface aggravation of power steering. We can establish decorative edges in all forms of designs, colours and styles, adding walls, garden features, lighting and drainage, if required. The most vital consideration when investing in a tarmac driveway is to get it completed by specialists. When installed correctly, a tarmac driveway will improve the look of your property and increase the property value – but they have to be installed properly. PJ Contracting Limited’s tarmac installation team are skilled installers, you can be rest assured of a top quality installation. Quotations for tarmac driveways in Exeter are offered free of charge and without obligation so please contact the trusted team at PJ Contracting Limited today for more information. Feel free to browse our paving services.